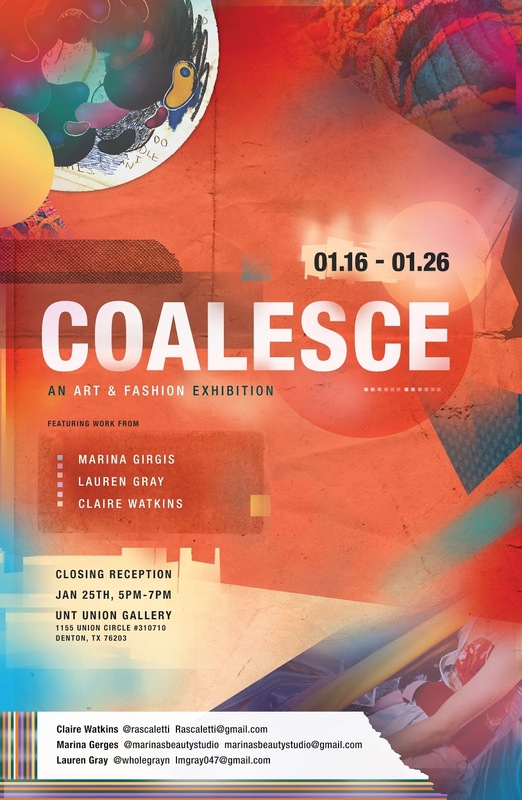 Through the use of similar color and design, Lauren Gray and Marina Girgis are urging the viewer to look at fashion through the lens of art by being placed alongside Claire Watkins’ oil paintings. Though the works are all different in concept and execution, the artists share a love for postmodern art and avant-garde design which has brought them all together. The use of found material and conservation of their craft is a common theme that each artist stands for. The paintings serve as a conceptual backdrop to enhance and illuminate the artistic qualities of the garments. This exhibition highlights the convergence of concept and design.